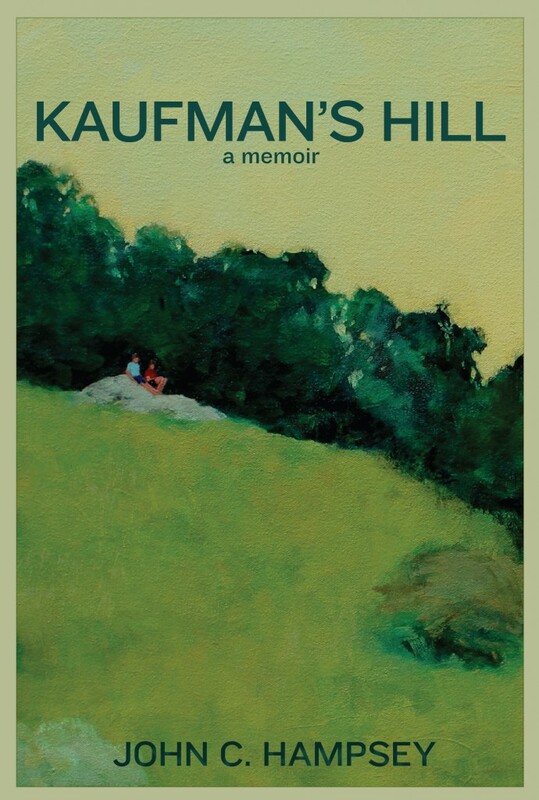 The Baltimore Post-Examiner is proud to present and excerpt from John C. Hampsey’s new book, Kaufman’s Hill, which is available at Amazon. Hampsey is a professor of Romantic and Classical Literature at Cal Poly, San Luis Obispo, where he has won the University Distinguished Teaching Award. Previously, he taught at Boston University and MIT. He received his BA from Holy Cross College and his PhD from Boston College. 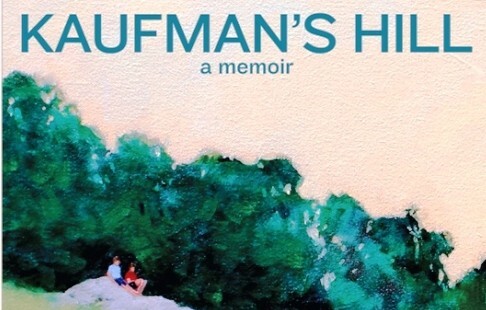 Summary: Kaufman’s Hill opens with a prosaic neighborhood scene: The author and some other young boys are playing by the creek, one of their usual stomping grounds. But it soon becomes clear that much more is going on; the boy-narrator is struggling to find his way in a middle-class Catholic neighborhood dominated by bullies, the Creelys, who often terrify him. It’s the Pittsburgh of the early and mid-1960s, a threshold time just before the full counter culture arrives, and a time when suburban society begins to encroach on Kaufman’s Hill, the boy’s sanctuary and the setting of many of his adventures. As the hill and the 1950s vanish into the twilight, so does the world of the narrator s boyhood. “My pappy says if you re going to be afraid of everything, you may as well live in the sewer” are the words that first open the narrator’s eyes. And once he befriends the enigmatic, erratic, but charismatic Taddy Keegan, he becomes bolder and no longer lives in abject fear of the Creelys. The narrator’s relationship with Taddy proves to be unconventional, though. Taddy, caught in his own imaginary universe, is often unaware of companions around him and lives life as if he is a performer. The narrator’s world is a mix of exhilarating freedom because of absent parents, teachers, and priests and imminent dangers. This is what an American childhood used to be like, one reviewer claims, before it was organized out of existence: an anarchic voyage into the unknown realms of human possibility. At home, the narrator’s life is problematic. He observes his taciturn father as he copes with manic behaviors and cyclically repeating problems, while his mother struggles to better the life not just of her young son, but that of her African American cleaning woman in a time of racial animosity and racially-related urban violence. As the narrator matures, his self-concept shifts within a widening world that includes disconcerting sexual experiences with public school girls, and his struggle to frame himself within the realm of the Catholic Church. He finds flaws with all but one religious figure, an aunt, who is a sublime and mystical presence in his life. When he begins high school, the narrator, at a dramatic moment, leaves boyhood behind, which might include leaving Taddy Keegan behind as well. I was down at the creek hitting, at just about anything, with the Creelys. We whipped our sticks at leaves and branches and rocks, and even at the soft silver mud along the creek bank. When we got to the sewer tunnel, the Creelys stopped and balanced themselves on top of some creek rocks. The late afternoon was cloudy and smelled like rain. The air was still, except for the cool sewer dampness blowing upon us. The Creelys stepped onto the slab beneath the tunnel and started slapping their sticks against the metal bars that crossed the top half of the entrance, until Frank Creely’s stick flipped out of his hand and landed on the other side. “Go get it,” he told his younger brother. We were all afraid of walking inside the tunnel. So Billy didn’t move until Frank pushed him into the creek water. I pretended to ignore them by examining the underside of a mossy rock. Frank’s stick in his hand like a trophy, and jumped across the creek, landing under a tree on the other side. “Hey! Look at this!” Billy yelled. Frank crossed the creek, his left foot and pants getting wet along the way. And I followed along the creek bank until I could see Billy poking his stick at a dead rat about the size of a small football. It was bloated in the middle, with dark matted fur and closed eyes. Billy jammed his stick at its stomach, harder and harder, until I couldn’t look anymore. Whenever the Creelys found anything, they always thought they had to do something with it. “Pick it up,” Frank said, his voice sounding serious. The air began to smell heavier, and I wished it would rain so we’d all have an excuse to go home. “C’mon, we’ll use our sticks,” Frank Creely said. I was worried, because I knew the Creelys. They might try and fling the rat at me, or knock me down and drop it on my face. “Who wants to bury some smelly old rat?” Billy Creely said. “You’re supposed to bury a dead animal when you find it,” I said. For some reason, Frank said OK, and they followed me up the creek bank carrying the rat carefully, its dark body jammed between their sticks. “Go on and dig a hole then,” Frank commanded. So I ran ahead up to Kaufmann’s Field and chose a flat spot next to one of the big white rocks the Kaufmann’s people had placed there where our woods used to be, and began scraping at the grass with the bottom of my stick. It was hard to break through the soil, though, and I was afraid the Creelys would get bored before I got anywhere. So I scraped faster, occasionally glancing back to watch them trying to balance the rat in the air. Whenever the rat fell, Frank yelled at Billy and hit him with his stick. And Billy screamed because he didn’t want the stick that had touched the rat touching him. They continued like this, jamming their sticks harder into the rat each time, until I thought they might stab it all the way through. Eventually, they held it steady up in the air and paraded around in circles. When I heard them whispering, I turned just in time to see their arms swing toward my face, with Billy screaming “Aaooahh ooahhooahh!” like Tarzan does. For a moment, the rat hung by its guts at the end of their sticks before soaring over my head and landing with one dead bounce on the rock behind me. The Creelys seemed to lose interest then, and laid down on the brown grass, some of the green rat guts still hooked onto the ends of their sticks. This is just temporary boredom, I thought. Eventually, they’ll start up again with rat stick torture. And Frank is always the worst, because he’s older and can make us do whatever he wants. Mother thinks there’s something wrong with him, and that’s why he doesn’t have any friends his own age. My hole was deep but not wide enough. So I kept grinding my stick, feeling the blisters coming on as I knelt under the late afternoon light, with everything seeming to slow down. And maybe that’s why I didn’t hear Georgie-Porgie arrive from the direction of Kaufmann’s Hill. “What are you guys doin’?” he asked. “Nuthin’,” Frank Creely said without lifting his head. “We’re waiting for him to finish digging,” Billy said, sitting up on one arm. “Because we’re gonna bury a rat, that’s why,” Frank said, his voice impatient and his eyes still closed, as if he couldn’t wait for Georgie-Porgie to go away. “Well, where’s the rat?” he asked politely. “Over there,” Frank mumbled, lifting his arm to point, as if he was making a great effort. Georgie-Porgie, who was Frank’s age and always dressed in adult clothes ever since his father died, stepped onto the rock and, holding his blue tie against his bright yellow shirt, examined the rat like a doctor examining an accident victim. He even touched the rat with his fingers, turning it over. “We’re still burying it,” I said. “Yeah. When the hole’s finished, the rat’s going in,” Frank Creely declared. Without lifting his head, Frank squinted his eyes at Georgie-Porgie, who glided back across Kaufmann’s Field, moving pretty well for a fat kid. He didn’t even seem to shift his legs as he pulled his way up through the crown vetch on Kaufmann’s Hill. At the top, his yellow shirt flicked for a moment in the light of the graying-pink sunset, and then disappeared into the woods. I continued to work on my hole, hoping the Creelys wouldn’t see I was nearly finished. As long as they hear me digging, I thought, they will keep pretending they are napping . . . while Georgie-Porgie glides along the path through the woods and then runs through thebackyards, his fine clothes flapping in the breeze . . . and on up Nakoma Street, toward his old brick house on Standish, where his yellow shirt finally disappears behind a screen door. Little Kenny Franz sat cross-legged a few feet away. Somehow, he had appeared without any of us hearing him. But Frank Creely sensed him, and stood up suddenly. “Go pick up that rat, Kenny,” he commanded. Little Kenny stepped onto the rock and stood over the rat as if he was trying to figure a way of touching without touching. Finally, he picked up the rat by the back of its neck. And then he didn’t seem afraid anymore, and even cradled the rat’s body on his left arm before arranging it comfortably inside the hole. As he got closer, we could see a silver rod in his hand. “We buried it,” I said. “Here, let me show you,” he said calmly. Bending down in the dim light, Georgie-Porgie uncovered the rat and then re-covered it, this time vertically, patting the dirt firmly around the rat’s neck so that only the head appeared above ground. “So who found the rat?” he asked. “It was his idea to bury it,” Billy said, pointing at me and looking like he wished he was already back home eating his dinner. So Georgie-Porgie put the sand wedge in my hands, positioning me at just the right angle and setting the face of the club close behind the rat’s neck. Everyone stood still while I tried to decide if golfing a rat’s head was a bad thing to do. I thought about how my father used to play golf, and that I would probably take lessons someday. And then, in the closing dusk, the rat head got harder to see, until there was only the slice of silver at the end of the invisible club. I wasn’t afraid of hitting; I just wasn’t sure I wanted to . . . and the club felt so heavy, and sickening, as I swung it back. Because I wasn’t doing it right, and that’s why I hit the dirt too soon. “Give me that damn thing!” Frank yelled. He grabbed it away and shoved me hard against the rock. I caught myself with my hand, the tiny pebbles grinding into my palm. And then I stayed like that, studying the dark outline of his body. Frank was bent over too much, not like a real golfer at all. And his swing was so quick none of us could really see it in the near-darkness. But we heard the dirt fly everywhere. Georgie-Porgie knelt down to examine the results. He took the club from Frank, who could beat up Georgie-Porgie if he wanted to. But he was afraid. Because Georgie-Porgie was the kind of kid who never got beat up. “I took the head off,” Frank said angrily. But little Kenny was gone. He had run home the minute he knew what we were going to do with the sand wedge. Georgie-Porgie took the dollar and then retreated, walking backwards toward Kaufmann’s Hill. I stayed against my rock and watched the Creelys fade into the opposite direction, their sticks high in the air as if they were still carrying the rat. And I should have left, too, because it was late, and my mother was probably worried. But I wanted to find the rat head and bury it with the rest, even though it would be difficult in the dark. The rain finally started falling, lightly at first. But I didn’t care. The rat head is out there somewhere, I thought. And all I have to do is touch it to find it. But I was afraid to touch, so I couldn’t move. After Jeff Portney moved into the neighborhood, I started going to his house as a new way of escaping the Creelys. I was also hoping he’d be better than big-faced Dickie Labeau, another kid I tried playing with. Dickie would act weird all of a sudden when we were alone in my basement, screaming in a high-pitched voice and jumping up and down and spitting. He thought it was funny, but it made me nervous. And when I said, “Dickie! Please, act normal!,” he only got worse. I heard Frank Creely command one time at the bottom of the brick street. And he and Billy laughed while Dickie screamed and spit-twisted around in circles. When the Creelys got tired of it, Frank smacked Dickie a few times on the face to make him stop. Jeff Portney lived up on the brick-street hill, near the Creelys. So when I went over to his house, I had to make sure the Creelys didn’t see me. Mrs. Portney liked it when I came over. She told me I was “a nice young gentleman,” and that I came from “such a nice family,” which I didn’t understand because Mrs. Portney had never met mymother and father. When I asked my sister about it, she said it was because our father was a downtown attorney. Jeff was an only child, which was an “unfortunate situation” according to the neighborhood ladies. And poor Mrs. Portney, they said. Her husband always away on business. Maybe that was why she was so interested in what Jeff and I were doing. Because sometimes it seemed like Mrs. Portney actually wanted to get down on her knees and play on the carpet with us. While most mothers would be talking on the phone, or doing something in the kitchen, or staring at the TV, Mrs. Portney never seemed to do anything but drink iced tea mixed with some bottle from the cupboard and watch us. Sometimes she talked about how much she hated the Creely brothers because they had locked Jeff in her basement closet the day the Portneys moved into their new house. Then they knocked over some Atlas boxes and ran out. Mrs. Portney complained to Mr. Creely about it, but he just laughed and said his sons were good boys and that they didn’t mean anything by it. But it must have made Jeff’s mother sad, even though you couldn’t see it in her face because of her thick hair hanging down and her narrow body always jerking around. Jeff and I built a “set-up” in his basement with his collection of little soldiers and cowboys. But he didn’t understand that a set-up was more than just placing all the men in the middle of the floor. He didn’t know they could all have their own names and live in their own places, like behind chair legs and under tables and up on windowsills, except for Christmas, when they lived in the tree. A balsam Christmas tree lasted longer than any other, my father always said. Tinsel connected the branches like a train track they could ride along, and the icicles became silver ropes they could swing upon. Peewee, the little black cowboy man, was the best of all, because his legs were spread wide from too much time in the saddle, so he could ride down anything—branches and icicles and even the shiny ornaments. And he was so small no one could see him, which is why our cleaning lady, Lorraine, sucked him into the vacuum cleaner one day, making me cry until my mother found the little pieces inside the matted gray vacuum dust you shouldn’t breathe when it floats up into your nose, and miraculously put him back together with so much brown glue that every time I looked at him I’d remember how he used to be. And how lucky I was that my father could never face taking down the balsam tree, even after New Year’s; my mother making him move it to the upstairs landing where no one could see it from the street. One year my father kept it there until Washington’s birthday so I had all those extra Christmas days for Peewee and my other little men in the tree, until everything seemed to drop away and death itself only existed outside the tree, which meant that any man who fell to the gray carpet couldn’t comeback again. Jeff didn’t know how you have to pretend to be living inside each man before placing him inside the set-up, and that’s why playing with him was almost like work . . . under the fluorescent lights in the Portney basement that seemed to drift us away. When we finished, we sat around looking at the set-up and drinking iced tea, which I wasn’t old enough to drink at my house. And then we’d move things around a bit, like the white paper road that coiled across the floor, or switching some of the cowboy men from the carpet to the high ground up on the arm of the couch, or even up on the bookshelf, where they could holler warnings from above that I could almost hear. Others climbed the hill we made of mud taken from the Portney backyard, and still others swam across a lake we made from a silver bowl Mrs. Portney gave us, the lake water spilling sometimes, but she didn’t seem to care. I knew that set-ups only lasted for so long, because parents wanted their basements back again. But Mrs. Portney said her basement could stay like that forever, making me wish my mother could see it too. The Creelys ended it . . . their invasion happening so quietly, the basement door opening without sound, and Frank and Billy and Dickie Labeau just standing there and staring. They couldn’t believe the riches before them. And then their sudden running around the Portney basement before I could even see them move, stepping on as many little soldiers and cowboys as they could, crushing the mud hill and kicking over the silver lake, with Dickie screaming and spitting, and the Creelys screaming too. Until Mrs. Portney appeared at the top of the stairs with the broom in her hands and her flowered dress flying up over her knees as she rushed downward. The Creelys laughed as Mrs. Portney jabbed at them with the broom. They dodged her at first, and then they let her hit them so they could laugh even more. “There is nothing else you can do to us,” their eyes seemed to say, making Jeff’s mother scream, “You bastards! You bastards!,” as she started swinging the broom wildly, with Frank and Billy still laughing and looking as if they were much older than eleven and eight years old. Dickie Labeau missed it all, because his eyes were closed as he spit-twisted around, bouncing off walls and furniture, not stopping until Frank Creely punched him in the back of the neck and yanked him by the arm out the basement door. They walked down the driveway as calmly as if they had just gotten off the school bus. When we turned back, Jeff’s mother was doubled over crying in the middle of the messed-up basement floor. And that’s when I left, too, running home as fast as I could, so them Creelys couldn’t catch me even if they wanted to. Next Sunday, after Mass and the Sunday breakfast my father always cooked—bacon and sunny-side up eggs inside the same iron skillet—my oldest sister asked me why I wasn’t going out to play. I didn’t want to tell her I was afraid of seeing the Creelys, or that I didn’t want to go over to Jeff Portney’s anymore, which I felt bad about. “You’ll probably never get another chance to see the president,” she said, before walking out the front door. My father had told us about “the miracle of the Catholic president.” But instead of going to the top of Sunnyhill, my father was at Pitt Stadium for the Steelers game. And my mother wasn’t feeling well, and my other sister was over at Polly Grove’s, so they wouldn’t see the president waving from his convertible like he does on television. Only this time he’d be waving right past our neighborhood. I decided to go. But instead of walking up Sunnyhill to catch my sister, I turned right onto Mohawk, figuring I could see the president sooner as he drove past the wide intersection at Ordale Boulevard. When I got there, no one was around, except for a man in a hat standing on the other side of Washington Road. It was hard to tell if he was waiting for the bus or waiting to see President Kennedy. Because everything felt so ordinary, the cars passing by and nothing else happening. It seemed impossible that the president could actually appear. But I continued to stand on my side of Washington Road as if I had purpose. The man with the hat crossed the street and stood next to a telephone pole a little ways behind me. I could feel him staring at me, but I tried to focus on the sky clouding over instead. Because the president should drive by when it is sunny. A bunch of brown leaves rattled around in the middle of the street every time a car passed. They excitedly formed a circle, and then spread back out, their brittle sound amazingly loud for just being leaves. The man with the hat talked to me, his words arriving slowly as if they were bending around from another direction. “Are you waiting for something?” he asked. I turned but couldn’t see his face, except for his moustache. His hat was just like the kind my father wore, only tilted down low. He stepped back and leaned against his telephone pole like I wasn’t important anymore. So I tried to forget him. I wanted to see him first. So I stayed and watched the afternoon get cloudier and later, everything feeling so still. Even the passing cars seemed to be slowing down. Maybe this is how it is, I thought, just before the president appears, unless my sister made the whole thing up, which made me want to talk to the man in the hat and ask him if he knew anything about President Kennedy driving by in a convertible on his way to downtown Pittsburgh. But I didn’t want to talk to the man in the hat for some reason. The sky looked like it was getting dark too early, and then I remembered my father turning the clocks back in the morning because daylight savings was over. So Sunday afternoon would end sooner. The man with the hat moved closer again. I could hear thescratch of his pen as he wrote something down. And I didn’t like the fact he could look at me and I couldn’t look at him. Next time I will have to remember that, I thought, and get behind someone if I am worried about him. Because then I can watch him instead of him watching me. I also had to remember to listen for the president, and not just watch for him—with the sirens coming around the bend first, then the line of black cars with their headlights on even though it was still daytime, like in a funeral parade. The cars rose up the hill so slowly they seemed not to be moving, except for the small American flags fluttering at the top of their antennas. My sister was right, I thought. The president is coming. He’s just running late. I recognized his car because it was the only one with the roof down. And there were motorcycles on either side with their sirens on, so you couldn’t hear anything else. Under the gray-white sky, the president waved, even though I was the only one there, his four fingers pointing upward and his wife in her brown dress smiling but not waving. The man with the hat was gone. The president’s head turned from front to side, and back to the front, like a doll’s head, his eyes looking beyond, as if there were hundreds of people to see, even though there was only me. As his car made the bend, he seemed to pass through an invisible tunnel, the clouds riding along above him, without any wind. I am really seeing the president. October 12, 1962. Eight years old. His parade car traveling from Wheeling, West Virginia, right past the edge of where I live, inside the slow-down seconds. His body rocked slightly as he passed, and a motorcycle policeman dropped his head to spit, which he shouldn’t do, because it could blow sideways and hit the president. And then the back of his head was all I could see, and his hand waving on and on to a real crowd of people farther ahead I hadn’t noticed before. I ran up Washington Road to try and find my sister. When I reached the crowd, I heard on someone’s transistor radio that three hundred thousand people were waiting for the president downtown. Because he is a good man, my father said. And I saw him all alone. Even the man with the hat wasn’t there. Kaufmann’s Hill and down the side of the hill without even tripping on the vines, and across Kaufmann’s Field toward Iroquois Street, which would finally take me home. It was definitely getting dark, because of the October clocks, so I couldn’t see who they were at first, standing near the dead-end circle. And then it was too late to turn back or head up Iroquois, because the Creelys would catch me either way. So I had to stop. Frank and Billy were doing their low talking, pretending to ignore me. But I knew they were just daring me to make a run for it. Jeff looked as if he wished he were somewhere else. And Dickie Labeau’s eyes rolled in his head like he was going to explode if someone didn’t do something. Frank and Billy continued whispering, until Dickie finally did his high-pitched scream and Frank pushed him hard to the ground. “What if they won’t fight?” Dickie asked, standing up a few feet away from Frank Creely. Frank’s words seemed to hang in the graying air until my body could hardly feel itself, except for the back of my legs, which ached. I wanted to sit down but knew I couldn’t. I will never escape from this, I thought, unless I stay inside all day like Jeff’s mother told us to do when we were making the set-up. Because the outside world really is the Creelys’ world. Jeff Portney had his head down. It didn’t look like he was ready to fight. And I wasn’t ready either, my nose worrying me the most, because it’s in the open and easy to smash. So my plan was to protect my nose. I just wished my older brother had shown me how to do that, because all I had ever seen was men fighting on TV shows—hitting each other over and over again in the face, making that smacking sound. But nothing ever seemed to happen to their noses. Frank Creely told us to move to the grass. So we walked through the darkening air toward a small hill just above the basketball court and the creek. Before we stopped, Frank pushed us hard from behind, making my head snap backwards. I tried to catch my balance, but he pushed us again, this time right into each other, my chin slamming into Jeff’s nose. He looked at me with an expression I had never seen before, as if he thought I’d banged into him on purpose. I wanted to say “sorry,” but there wasn’t any time, because Frank pushed us again. And that’s when I knew what Jeff was already thinking—we had to fight. And no one would see us, because we were inside the Creely-owned darkness. Dickie Labeau hooted, his voice circling around in the thickening air. And Jeff jumped up and down, pulling on his pants like he had to go the bathroom. Then he stopped and raised one fist. “All right!” Frank Creely said excitedly. I considered letting Jeff hit me. Just one smack, I thought, like on television. Because it might not be that bad, especially if he didn’t hit my nose. And then the fight would be over and I could fall into the damp grass. A second later I would get up like a ghost and run home with pretend-crying, just like Frank Creely wanted. Because losing to Jeff Portney would be better than staying behind with the Creelys. But I was too afraid for my face, and at the last second rotated my arms in circles like I had seen on a Saturday morning TV show— the boys’ arms acting like propellers, and no one getting hurt. Jeff tried to punch through me, but my arms knocked his hand away. He tried again, and almost made it to my face, because I was already getting tired. Soon he’ll be able to hit through me, I thought. But then I won’t have to worry anymore. I closed in on Jeff with my propeller arms. But he ruined it by trying to tackle me at the waist, my fists landing on his back. He moved down to my knees and my fists pounded the top of his head until he fell sideways onto the grass and looked as if he was about to cry. But, in the darkness, it was hard to tell. A moment later, he lifted himself off the ground without even using his legs and ran toward Iroquois Street. The Creelys didn’t do anything; they just let him go. And then Dickie ran away, too, which started me laughing, and I didn’t know why. Frank Creely won’t like this, I thought. But I couldn’t stop. Like when someone is tickling and you can’t scream. But no one was tickling or touching. I kept watching Frank, who didn’t move. And I kept laughing, which is why I missed Billy circling to tackle me from behind. He lay on top of me and tried to grind my face into the grass. Frank got on top, too, their double weight so great my breath emptied away. Another minute passed without breathing, and then they finally rolled off me. I felt so limp I couldn’t move. But I should have, because Frank turned me over and sat down heavy on my stomach, pinning his knees into my thin arms, rearing up with all his weight to dig in, the pain so sharp my eyes watered out. Frank probably couldn’t even see me in the dark. But I could see him, through the tilted angle of the yellow streetlight. My skinny bones will just press away into the earth, I thought. And no one will ever know . . .
Frank wiggled his body sideways to make it worse. Then he rocked forward and backward. I closed my eyes and tried counting the seconds. But he rocked for a long time. When he finally stopped moving, everything was quiet, exceptfor his breath, which was close on me, and some barking dog from across Iroquois Street. “Get off of me!” I yelled. “Why should I?” he whispered back, the sweat from his forehead dripping on my hair and his rusty breath drifting across my face. Everything went quiet again, and I opened my eyes to see his round head hovering above, and his spit-drip shining in the yellow light. He let it slow-hang as long as he could. Billy Creely doing it too, kneeling beside him. Both trying to see how far the spit could drip before falling away. I closed my eyes again and sealed my lips. Their spit landed on my nose, followed by the awful slow sliding down my cheek. Both brothers’ spit smelled exactly the same—like maple syrup and rusty metal. Which was strange, because if the Creelys had pancakes for breakfast, the syrup smell should have disappeared by evening. Unless rusty metal syrup was the way Creely spit always smelled. After a while, it didn’t matter, just like it didn’t matter after your arms go numb. And I was just lucky Dickie Labeau wasn’t there, because he was a full-time spitter. But he probably didn’t know how to slow-drip spit. So Dickie Labeau didn’t matter. Frank made sure to dig his knees into my arms one last time before getting off. Then he bent over, his oversized face looking upside-down at me. But I just lay there, as he and his brother walked slowly away into the vague darkness. I was afraid to move, because more spit would drip down my cheeks. Minutes passed before I suddenly jerked my head to the side and wiped my face against the wet grass, scuffing it like when something is on your shoe. Only it was my face.
. . . and my mother never let us use the “spit” word, because it was crude, and she hated spitting, so we had to say “expectorate” instead; just like we were never allowed to say “sweat” either, because that’s what horses did, so we had to say “perspire”…And my father always telling us to thoroughly “masticate” our food, especially at Sunday dinner, with Sunday always the saddest day, and Sunday night the worst of all, unless the president drives by, and then everything feels different inside the cloudy afternoon, until a motorcycle policeman spits when the president isn’t looking and you have to scuff your face across the black grass at the Iroquois dead end, all because the clocks have been set back one hour, making night come on too soon, and that’s why I couldn’t see them standing there in the twilight . . . My father making his way through the house so slowly, so methodically, my mother says, while the bacon cooks in the grease, sputtering, just after Mass, turning the hands of each clock carefully, making me think there will be extra time that day because everything is going backwards, instead of losing time inside the Creely darkness, which doesn’t make sense, but that does help explain why the president was one hour late, because no one turned his watch back, which I didn’t think of at the time……His head turning like a doll’s head right toward me, and I was the only one there. John C. Hampsey is a professor of Romantic and Classical literature at Cal Poly, San Luis Obispo, where he has won the University Distinguished Teaching Award. Previously, he taught at Boston University and MIT. He received his BA from Holy Cross College and his PhD from Boston College. His book, Paranoia and Contentment: A Personal Essay on Western Thought (2005, University of Virginia Press) won an enthusiastic endorsement from renowned poet Lawrence Ferlinghetti. Professor Hampsey is currently working on a novel, Soda Lake, an existential mystery mixed with interconnected imaginary portraits. The Alaska Quarterly recently agreed to publish an excerpt. During his career, Hampsey has had more than thirty stories and essays published in such places as The Gettysburg Review (four times), The Midwest Quarterly, Antioch Review, The Alaska Quarterly, The Boston Globe, and McNeese Review, among many others. He lives in San Luis Obispo, California, with his wife and daughter. For more information, visit: johnchampsey.com	Contact the author.